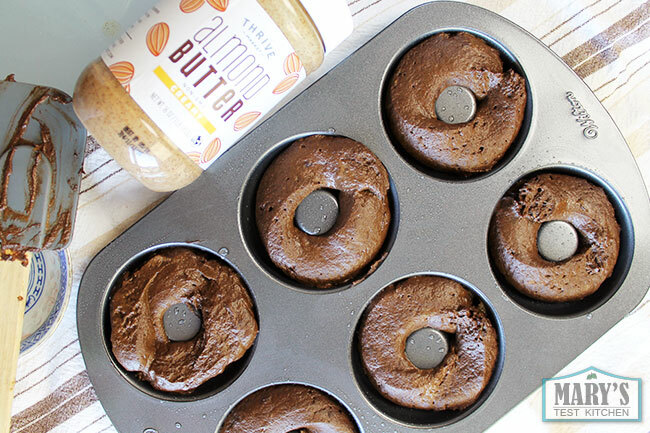 These almond mocha protein doughnuts will wake you right up, slay hunger, and keep you full with a boost of vegan protein. I made them for a quick on-the-go breakfast so even though they look and taste like an indulgent coffee shop treat, they’re actually oil-free and there’s no refined sugar. And, you can make them gluten-free too. If you want. These are your vegan doughnuts and there are no rules! Click here for the printable recipe. Boston Cream doughnuts (fried, baked or air-fried). However, I’ve never tried to make “healthy” doughnuts. I never wanted to. But I was getting a little tired of protein smoothies. 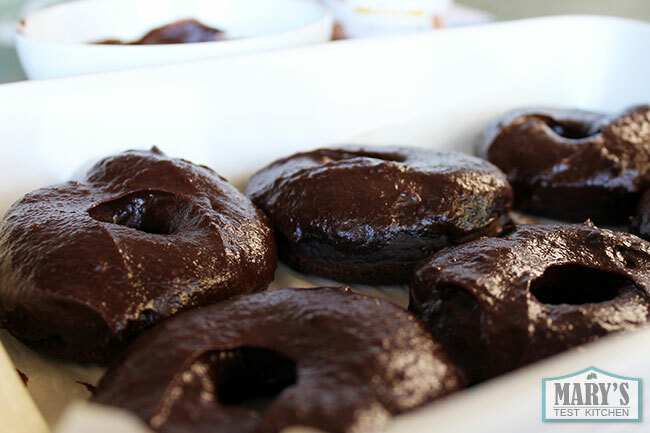 A couple weekends ago, I was messing around in the kitchen as is my usual weekend thing and accidentally made oil-free chocolate doughnuts. I wasn’t planning to; I only realized afterwards when I was going over my notes, that they were indeed oil-free. They didn’t taste like it. They tasted delicious! They did have a bit of a protein powder flavour but it wasn’t bad at all. I was pretty impressed with myself as it was the first time I’ve ever used a doughnut pan to make doughnuts too. 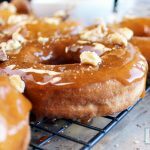 Watch me make these vegan high-protein doughnuts starting at 0:55. Healthier doughnuts or not, they needed a glaze. I needed to use up dried up dates that have been in my fridge for YEARS, so I soaked them and turned them into a fudgy mocha glaze with cocoa powder, espresso powder, and creamy almond butter. I could’ve eaten it all up with a spoon! By the way, I used Thrive Market’s own brand of Non-GMO Creamy Almond Butter which they sent me for a video I worked on with them. This blog post is not sponsored but they did sponsor this week’s episode of What I Ate Wednesday. So if you haven’t tried Thrive Market, an online health food store that sells lots of premium products at 25-50% less than regular retail, and would like to get $60 in free groceries from them, go check out that video! They have a “vegan” filter that makes it super easy to shop only vegan stuff, as well as other filters like “gluten-free.” If you’re already a Thrive Market member, there’s a special free gift for you too. Just check the video description for details. US only though since Thrive Market only ships in the US right now. They’ve told me they’re expanding to Canada soon. I can’t wait! The next weekend, I took these doughnuts even further in the trying-to-be-healthier direction. There had been white sugar in the original batter. I replaced that with more pureed dates. This time, I used dates from the baking section of my local grocery store. They come in a convenient block, all pitted, and soft enough to go straight in the blender without soaking. The doughnuts baked up amazingly well. The only difference was the addition of that slightly honey-ish flavour of dates. And with a little extra vanilla in the glaze, these were perfect. Even though these are healthier doughnuts, I still don’t want to eat them all in one sitting. Which would happen if I kept them on the counter or even in the fridge; I have no willpower. Instead, I freeze any treats that tempt me. I laid these doughnuts out on a parchment lined freezer safe dish and stuck them in the freezer. Once the glaze was solid to the touch, I could stick them in a container. They last better in a freezer bag with all the air pressed out; this reduces the chance of getting ice crystals all over and freezer burn. But I just stick them in a plastic container as I know I’ll eat them up in two weeks or less. To thaw, I just let them sit on the counter for about 30 minutes and they are nearly as good as fresh. 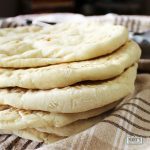 I hope you give this recipe a try and let me know what you think! 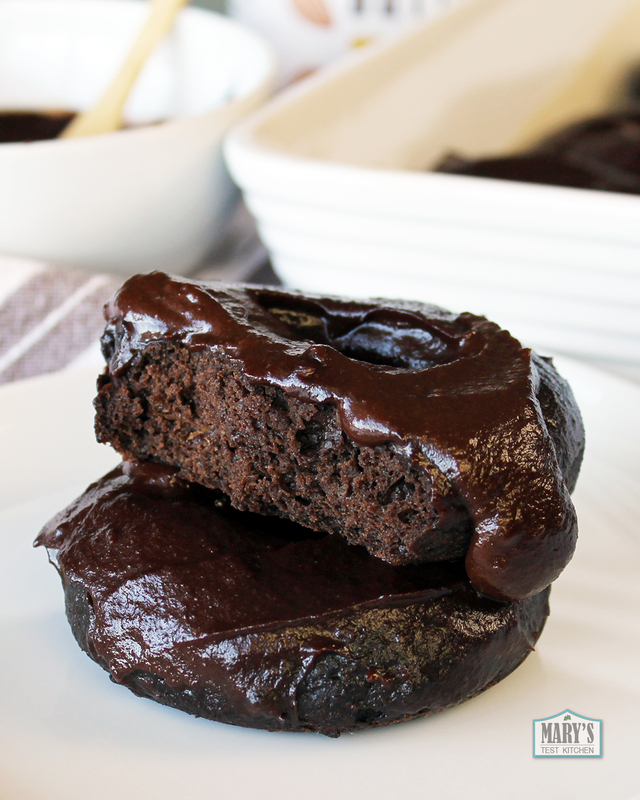 Delicious fudgey cake doughnuts with a creamy mocha glaze that happens to be vegan, oil-free, and free of refined sugar. Gluten-free optional. With the addition of chocolate protein powder, they're a tasty way to get a vegan protein boost. This recipe makes 6 large puffy doughnuts or 12 skinny ones. Choose the serving size that works for your goals/needs. And if you're not here for the protein boost, feel free to replace that protein powder with flour and a smidge more cocoa powder. Check the notes for details. This recipe uses US measurements. Metric amounts to come soon. Preheat your oven to 350°F. You'll need a non-stick doughnut pan to bake these doughnuts. Alternatively, use a muffin pan if you don't have a doughnut pan. But of course, they won't be doughnut shaped. Whisk the dry batter ingredients together in a large mixing bowl. Separately, blend the wet batter ingredients until smooth. Add the wet mixture to the dry and fold gently to combine. When the batter is just combined without any wet streaks or dry clumps, stop. Over-mixing can result in tough, chewy doughnuts; not what we're going for here! Transfer the thick batter to a piping bag. You may lightly grease your doughnut pan to ensure they pop out perfectly but this may not be necessary with a really good non-stick pan. Pipe the batter in evenly and bake in your preheated oven for 25 - 30 minutes. Let cool before glazing. 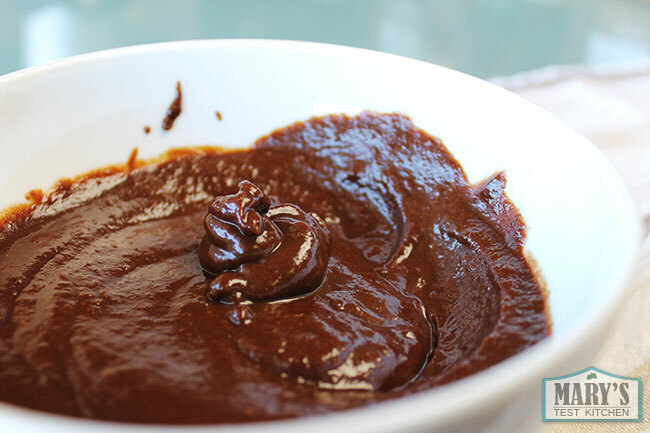 For the mocha frosting, blend all the ingredients together until smooth. Dip one side of each cooled doughnut into the frosting. These are ready to serve right away or freeze for later. To freeze, place the doughnuts on a parchment lined freezer-safe dish/baking sheet. Freeze until solid to the touch. Then transfer to your preferred freezer safe container. Freezer bags with the air pressed out work best to reduce the chance of air crystals and freezer burn and baked goods should last for up to two months. However, I simply place them in freezer safe boxes when I know I'll consume these in 2 weeks or less. If you're not using protein powder, replace it with 3 tablespoons of all-purpose flour and 1 teaspoon of cocoa powder in the dry mixture. Then add one tablespoon of extra dates in the wet mixture. There are no nutritional values on the recipes. I don’t include calorie counts on any of my recipes. The ingredients are there so you can input them into any calorie counting app you like. Maybe. This recipe was not tested with oat flour so I can’t say for sure. Generally, oat flour is an ok ap flour replacement but if I want really good results, I go for Bob’s Red Mill gluten-free one to one baking flour for a GF alternative.